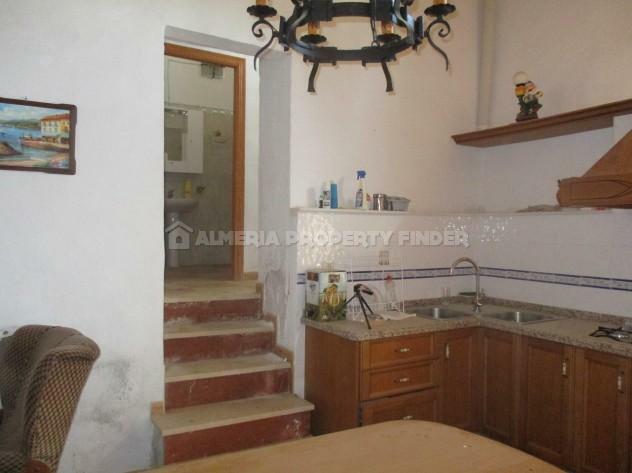 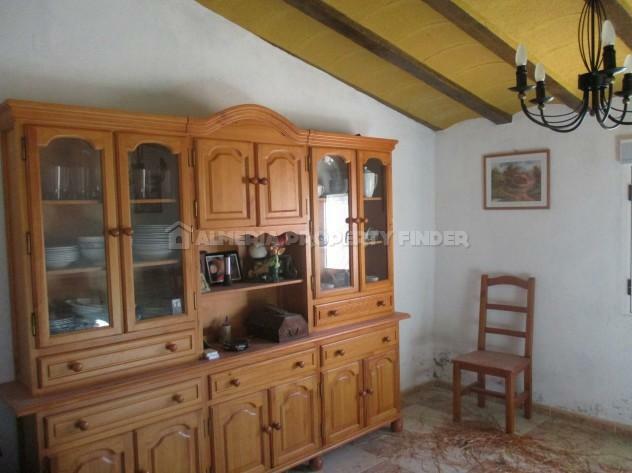 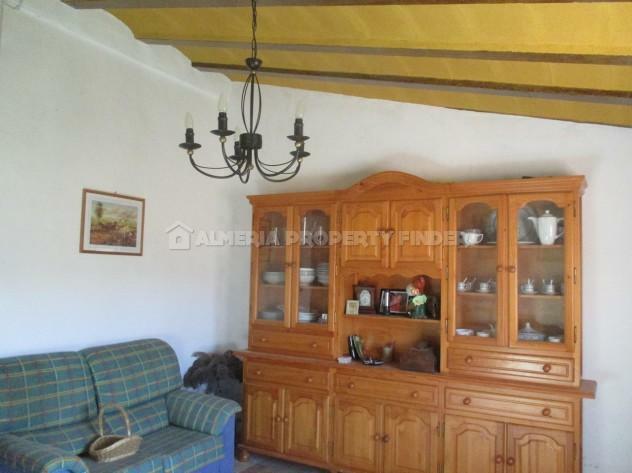 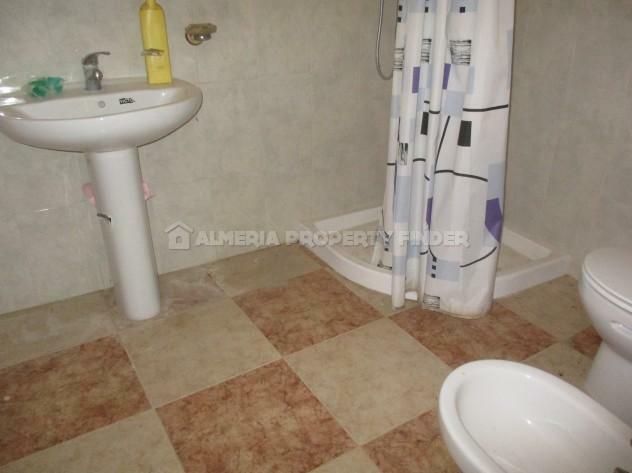 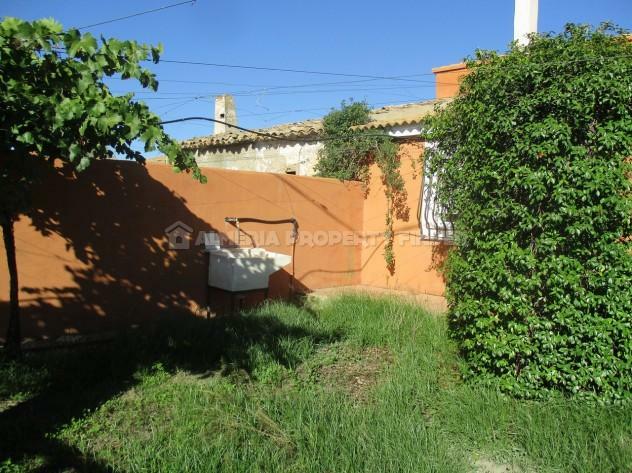 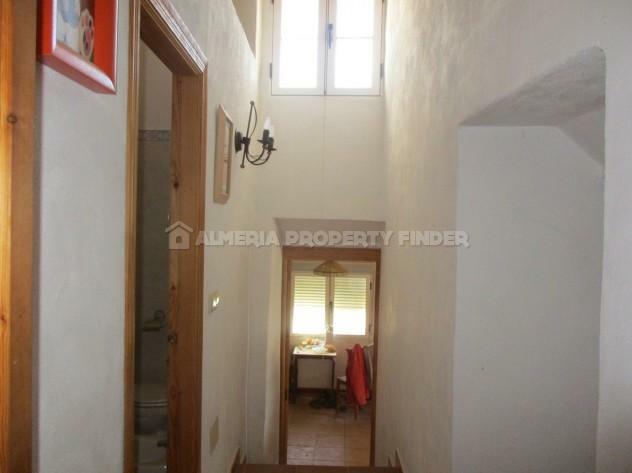 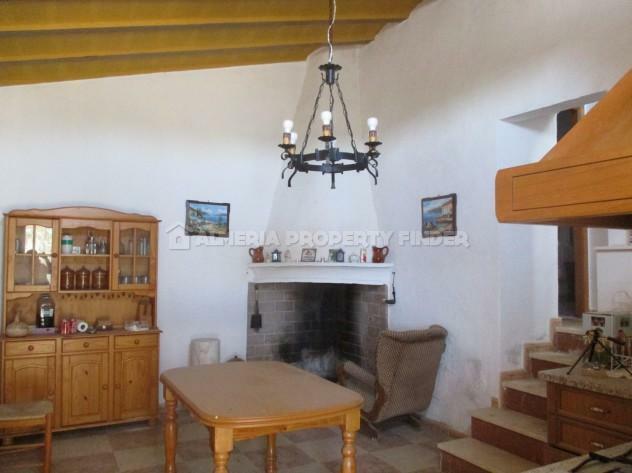 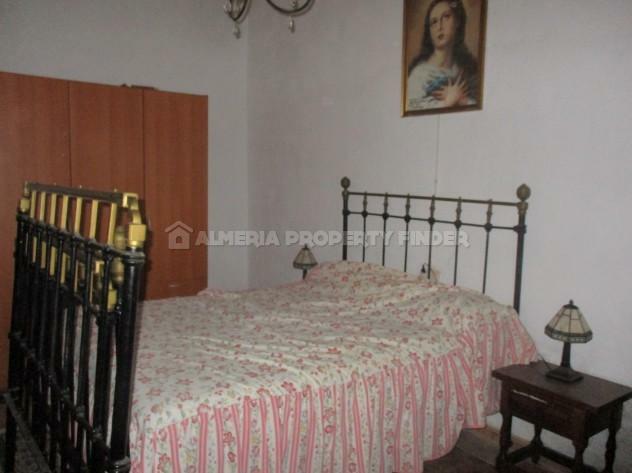 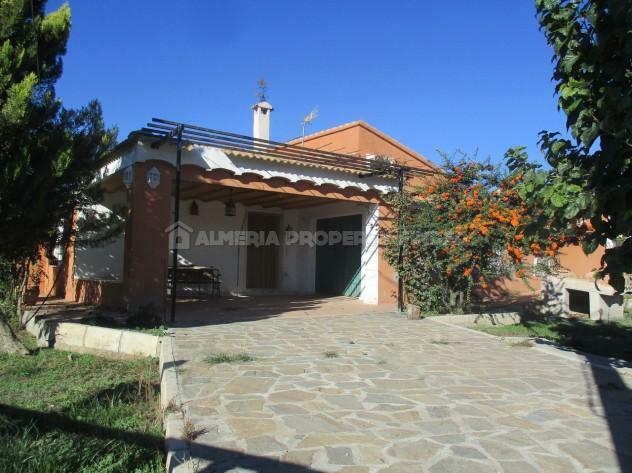 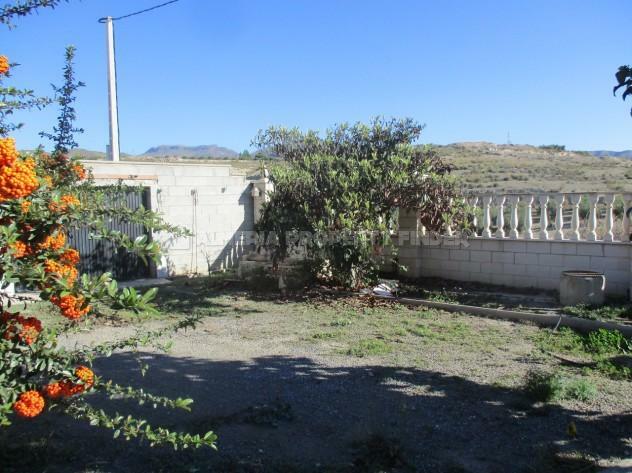 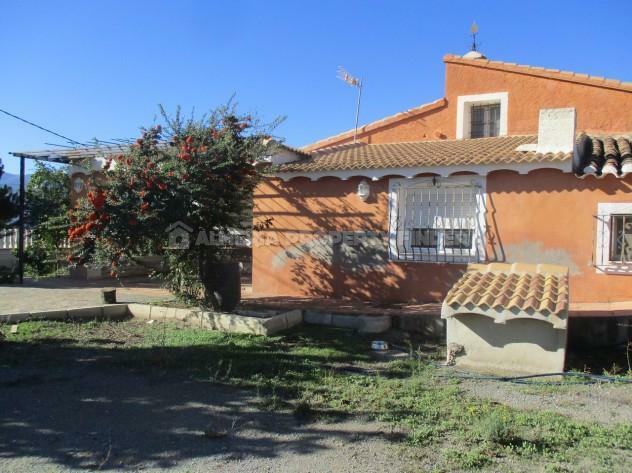 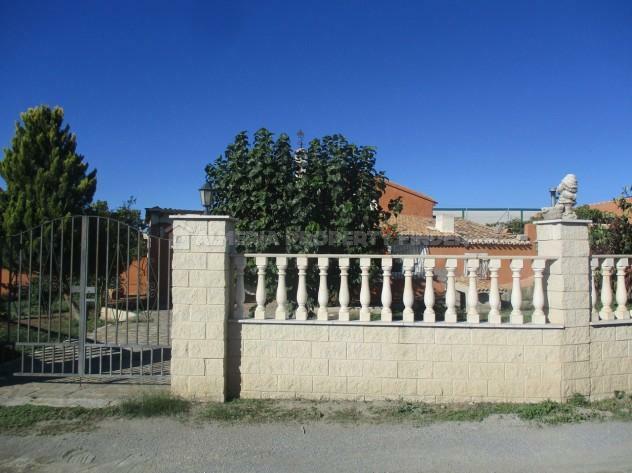 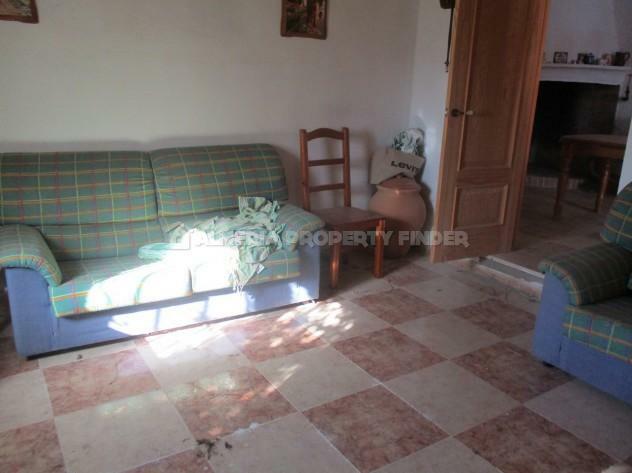 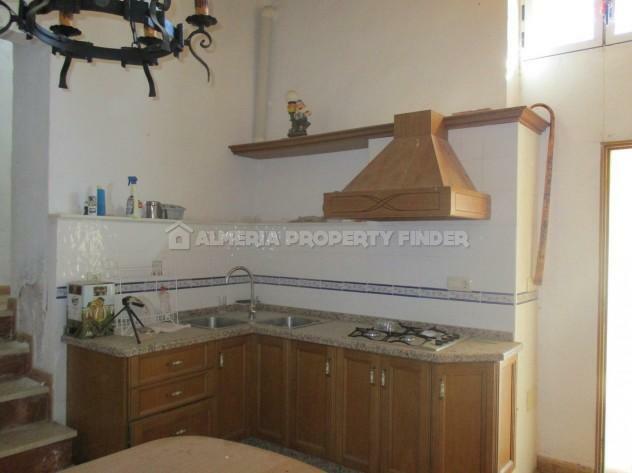 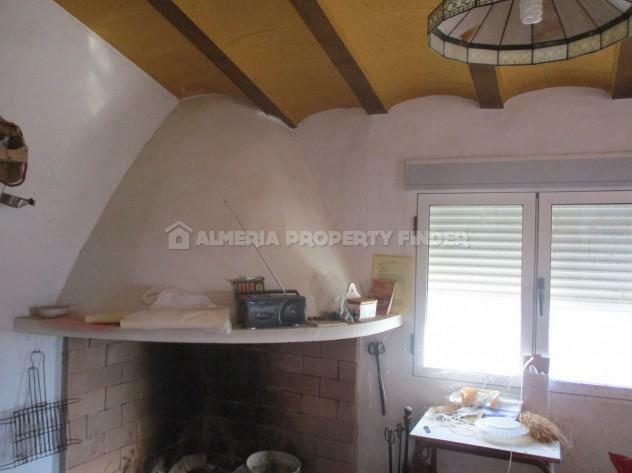 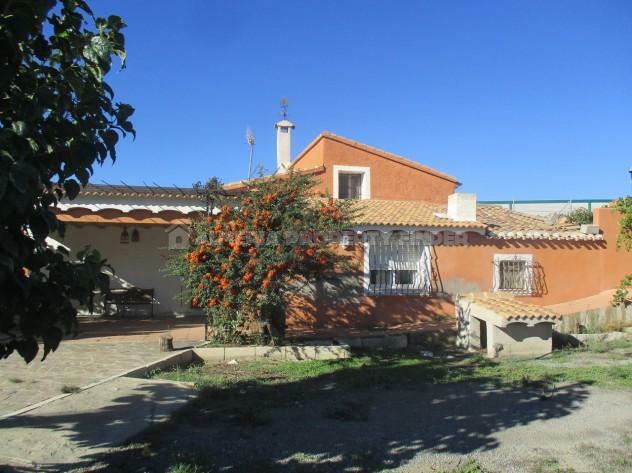 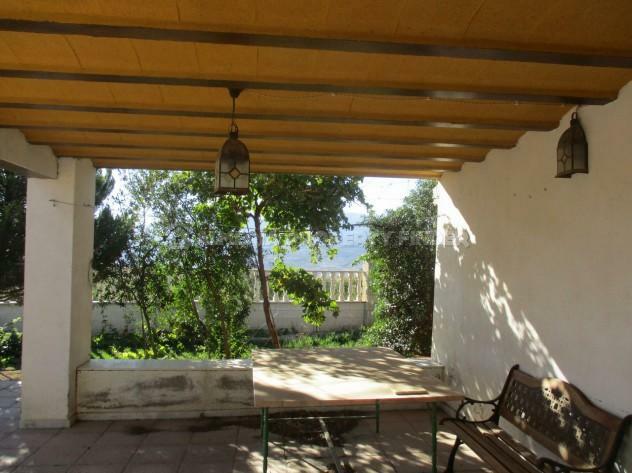 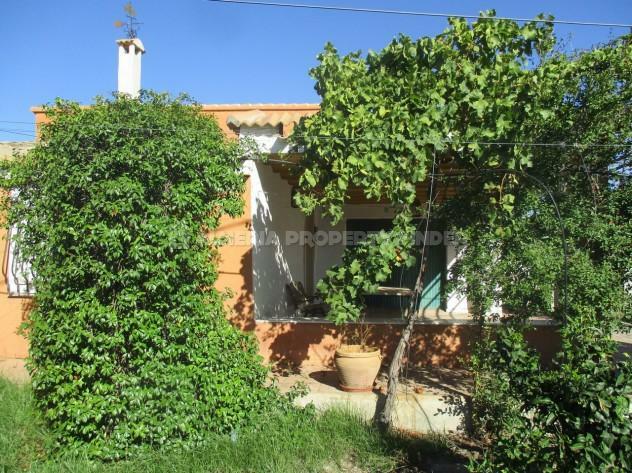 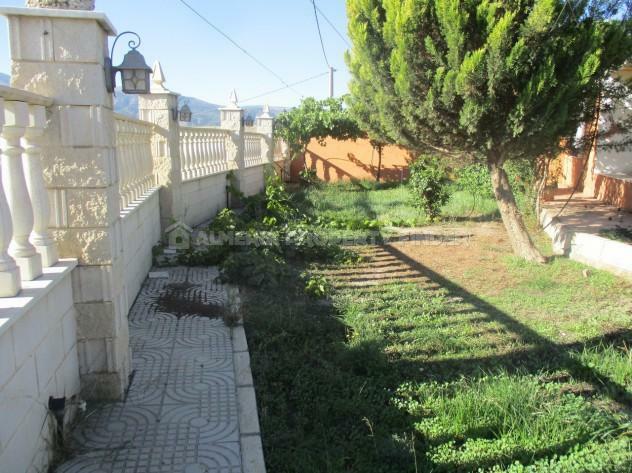 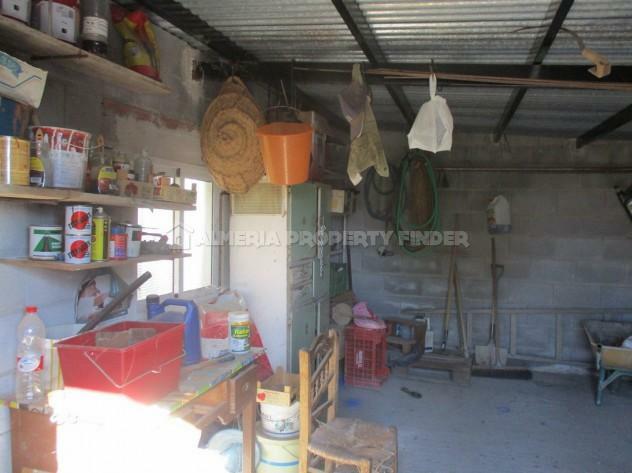 Habitable two bedroom country house with garage for sale in Almeria Province, situated 7 minutes drive from the valley town of Tijola which offers all amenities including a wide range of shops, banks, cafes, bars / restaurants, schools, a medical centre and pharmacies. 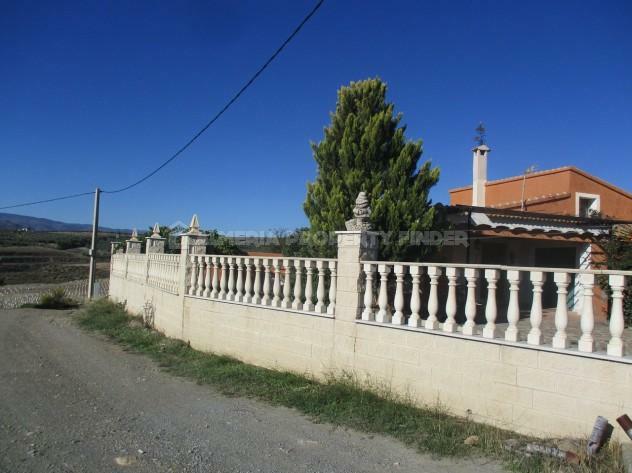 With a build size of 140m2, this semi-detached property is set in a walled & gated plot of 2530m2 with fabulous far reaching views across the surrounding countryside. 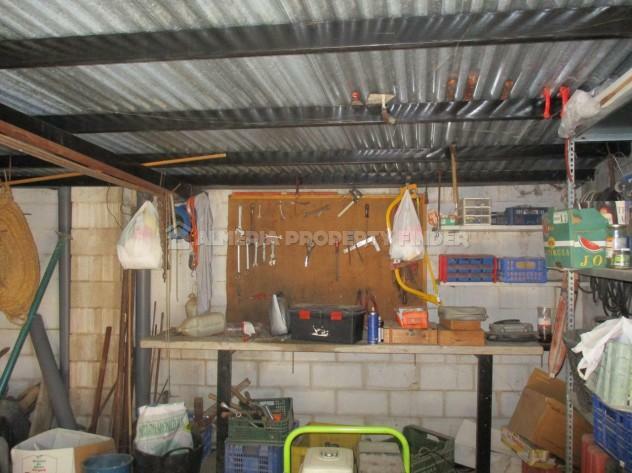 The covered porch also gives access to the large garage, and to the side of the house are two outbuildings which were previously used to house animals. 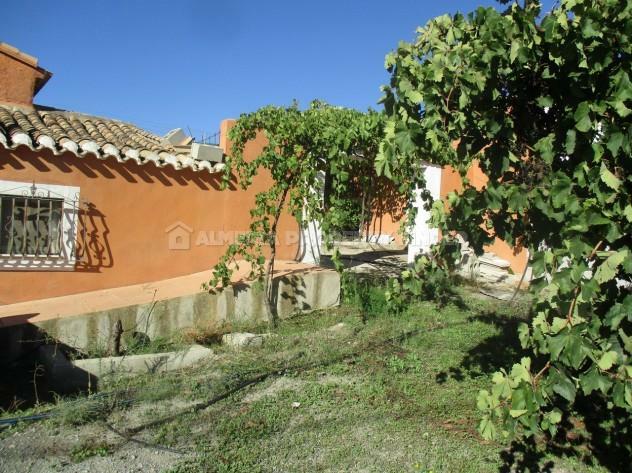 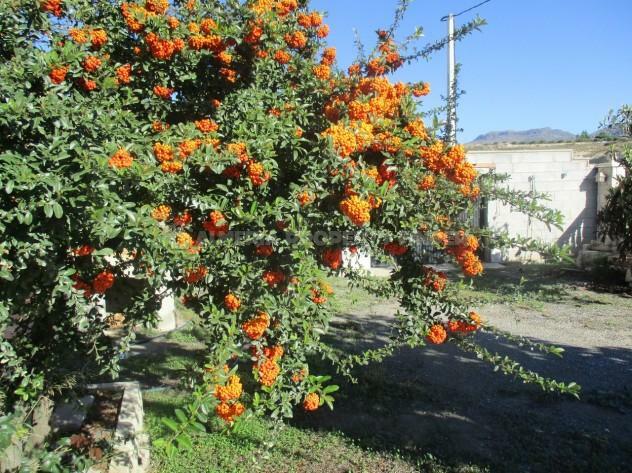 The majority of the land is situated to the rear of the house and is planted with mature almond trees.